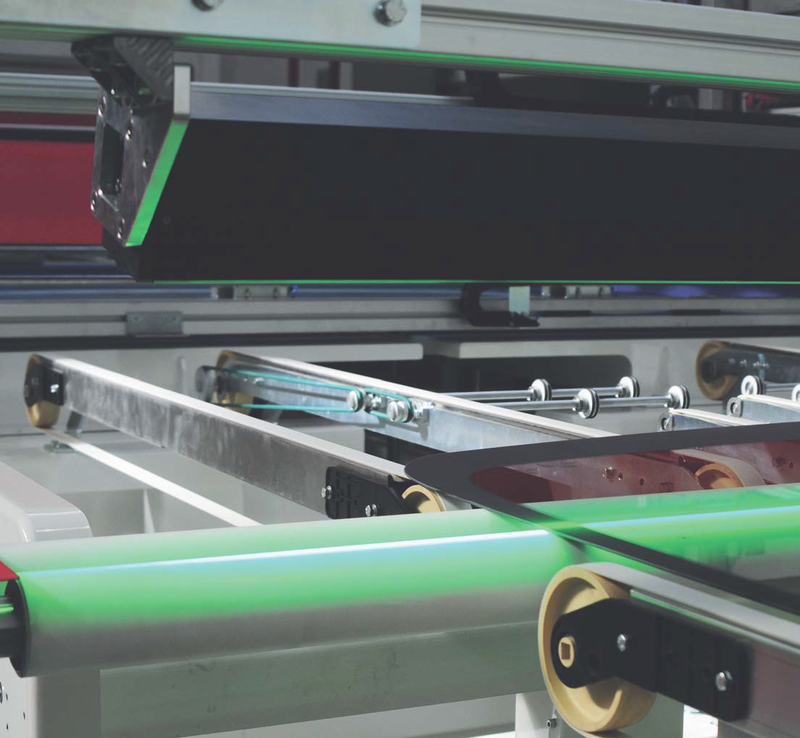 The glass industry is increasingly oriented towards automation, both to raise speed and to guarantee greater safety for the operator. 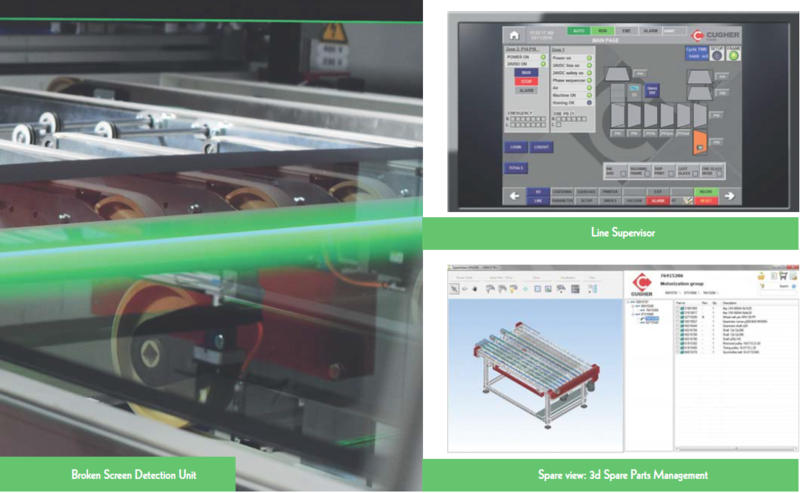 Cugher introduces the latest software developments on its screen printing equipments, which have lead to an increase in productivity, quality, speed and safety. dot of 0.09 mm2 and recognize any ‘slavering’ or ‘widening’ of the design details due to excess ink coming from the screen. 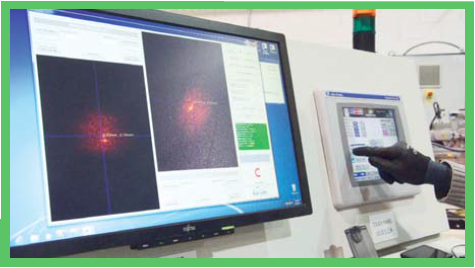 The system is able to detect fade out dots, pin holes, or if there are missing parts of the design, and alert the operator to verify the possible cause (e.g. lack of ink, dried ink on the screen, etc.). The information provided by the system enables automatic setting of the printing machine to clear the detected defects, without affecting cycle time. element in detail, providing three-dimensional drawings with each single part of the machines, helping maintenance personnel in part replacing activities. Moreover, it allows to directly order spare parts; saving time and reducing human errors. 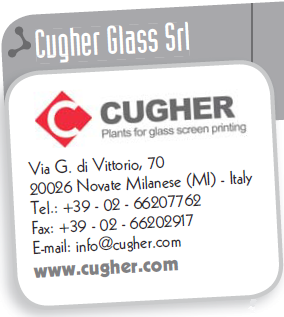 The orders created through the system are automatically delivered to Cugher and processed in a very short time. 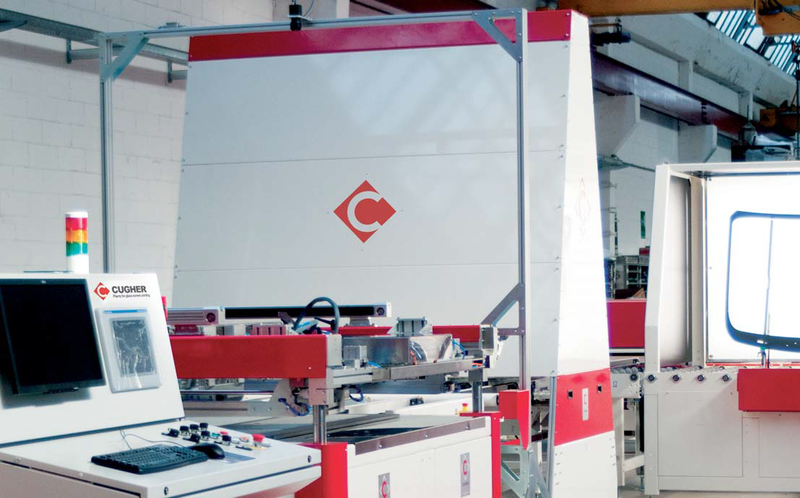 The integrated system installed on Cugher lines, together with the high technology used in the printing machines, improves the printing line automation level and the continuous monitoring of the productivity.